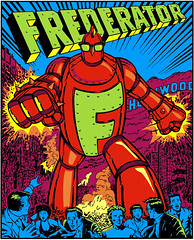 The Frederator Studios Blog: My heroes. Postcards, Series 5. It's postcard time again! 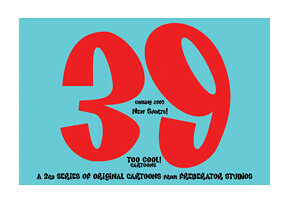 The bottom one's pretty obvious; as you probably know, we're taking pitches for 39 new shorts for the fourth season of Oh Yeah! Cartoons. The other two? Well, frankly, they're indulgences of a nostalgic, sentimental producer. 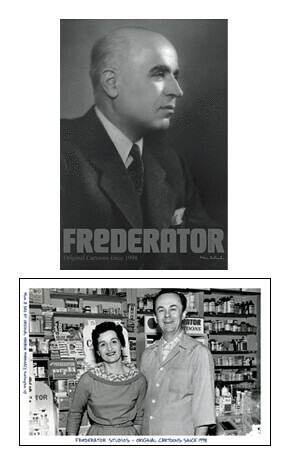 The top one is my grandfather, Pancho Nakashev, pharmacist, linguist, nationalist, inventor. It's been said from him I got my eyebrows and entrepreneurial spirit. The other, American Gothic in the 50s, is my parents posing in their Long Island pharmacy for a magazine article (hence, the photographer posing my dad in a goofy smock he really disliked). From them comes a love of hard work, fair play, and creativity. Thanks everyone, I love you. Neat photos! ...and a nice reminder that there are plenty of heroes to appreciate in our lives, beyond the heroes of our industry. ...And that's my sappy comment of the day.